Francis Edward McSweeney, born December 18 1894, was a draper at local department store Collinson and Cunningham when war broke out in 1914. He was already part of the local Rifle Brigade, J Battery, 1915 and underwent further training at Trentham Military Camp for active military service. When time came for him to serve overseas, he was attached to the 10th Reinforcements (New Zealand Field Artillery), first as a gunner and later as a bombardier. He was sent to France and spent the entirety of the war there, except for a spell at Sling Camp. This posting indicates that either recuperation or further training was necessary. According to his military record, he made it through the war physically unscathed. He returned to New Zealand in June 1919. In a few weeks it will be Christmastime and we will be thinking of one another though on the opposite sides of the world. 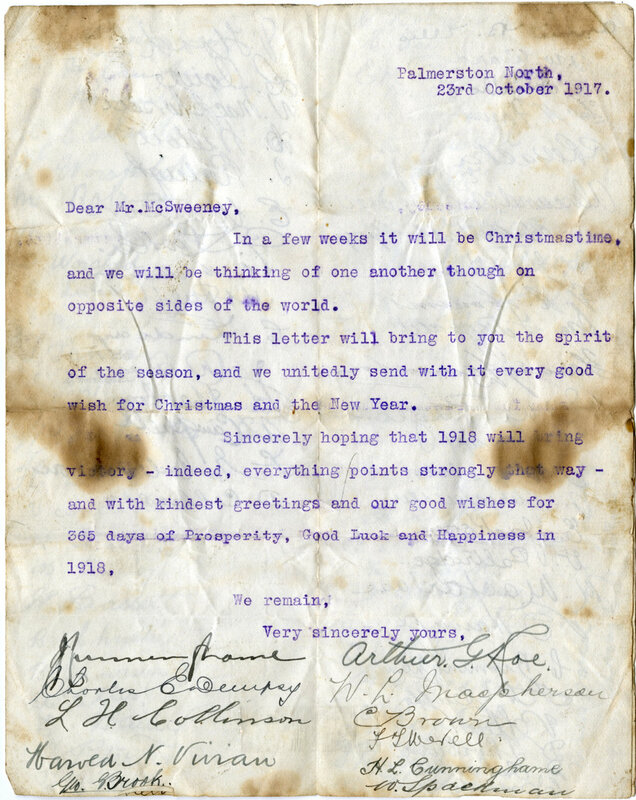 This letter will bring to you the spirit of the season. and we unitedly send with it every good wish for Christmas and the New Year. Sincerely hoping that 1918 will bring victory - indeed, everything points strongly that way - and with kindest greetings and our good wishes for 365 days of Prosperity, Good Luck and Happiness in 1918. 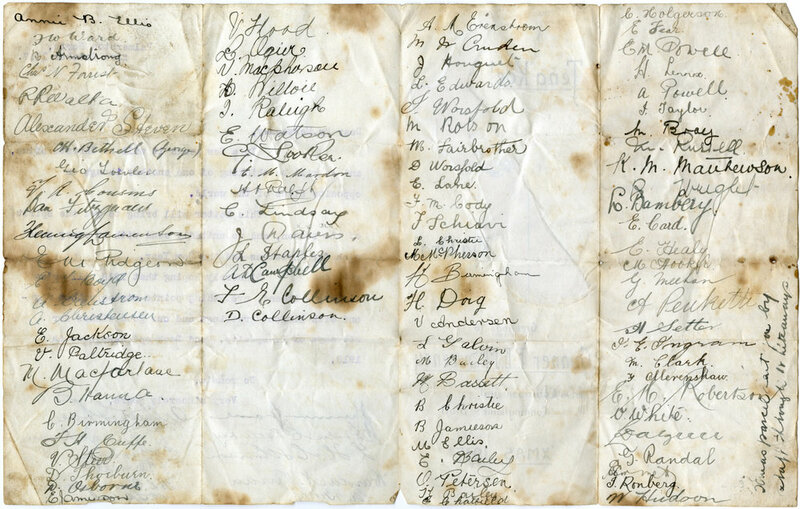 [signatures of members of staff]"